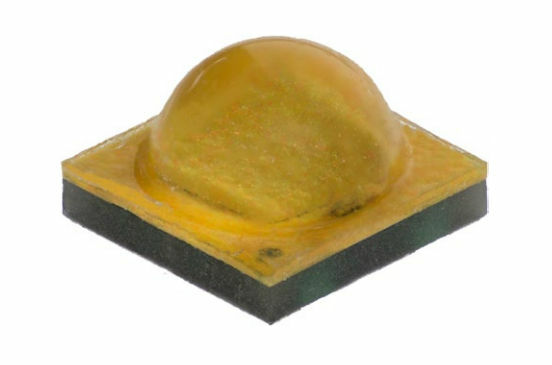 “Through innovations in component architecture, the new XLamp XP-G3 S Line LED can withstand double the number of switching cycles when compared to competing leds in its class,” said Cree in the launch paperwork – leaving me to wonder if the competitor is the Standard version, or not? I have trawled through the new version of the XP-G3 data sheet (CLD-DS139 Rev 2), and am struggling to find any differences between S Line and Standard – all the current, voltage and light curves look identical, but the firm is presenting them on separate graphs so maybe I am missing something. The one thing I did notice was that it only comes in 70CRItyp, while Standard versions come in that, 70CRImin, 80CRYtyp and 90CRItyp. higher efficacy,” going on to link S Line with ‘IoT’ and sensor-based operation.